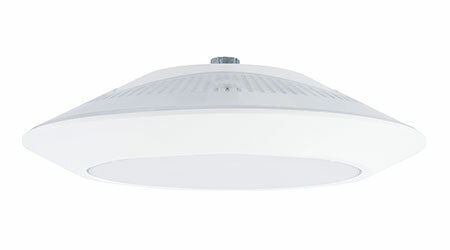 The SenScape SPG18 series is a sealed, low-profile luminaire for parking structures. The fixture’s slim design features an IP65 rating, protecting SenScape from the ingress of dust, dirt, debris and water. SenScape includes a 12 percent uplight option, an 18 percent uplight option and a 100 percent downlight version. It features optional daylight harvesting — highly desirable in parking garages, as well as canopy and low-bay applications. Unlike traditional edge-lighting, which compromises fixture efficiency as well as the control of thermals and uplight, SenScape’s back-lit design provides a low-profile engine without compromising the fixture integrity. The occupancy and daylight sensors are positioned behind the lens, which maintains the design aesthetic and construction integrity of the fixture, even when controls are added to SenScape.